The weather is heating up out there and when it gets too hot to handle, we like to retreat indoors to escape the heat and enjoy an ice cold treat! Impress your family and friends with this epic, peanut butter and cheesecake ice cream sundae that's meant to share! This family-sized, ice cream sundae is the perfect treat for the whole family. 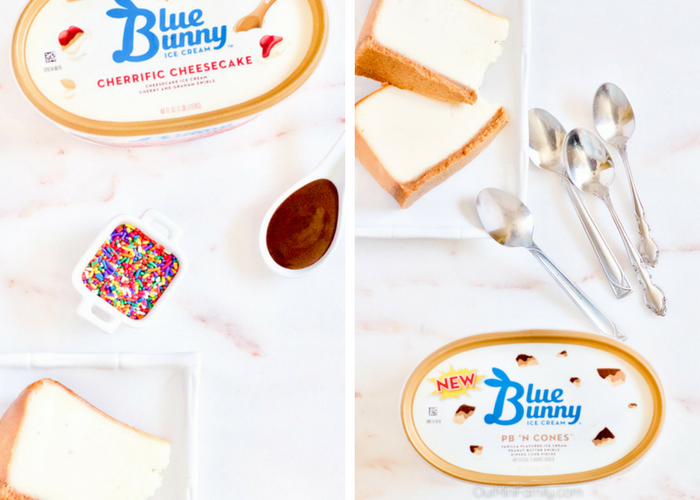 Sit down and pass out the spoons and enjoy this sundae filled with New York style cheesecake slices, Blue Bunny® PB ‘N Cone™, Blue Bunny® Cherrific Cheesecake, hot fudge, and sprinkles! Grab an oversized bowl (or a party glass like we used), and store it in the refrigerator for one hour before you prepare your sundae. Doing this will keep your bowl or glass chilled, and keep your sundae from melting too fast! Pour half of your hot fudge chocolate sauce into the bottom of the bowl before all of your other ingredients. Place your cheesecake slices into the middle of the glass on top of the hot fudge. Scoop your ice cream on top of and around the cheese. 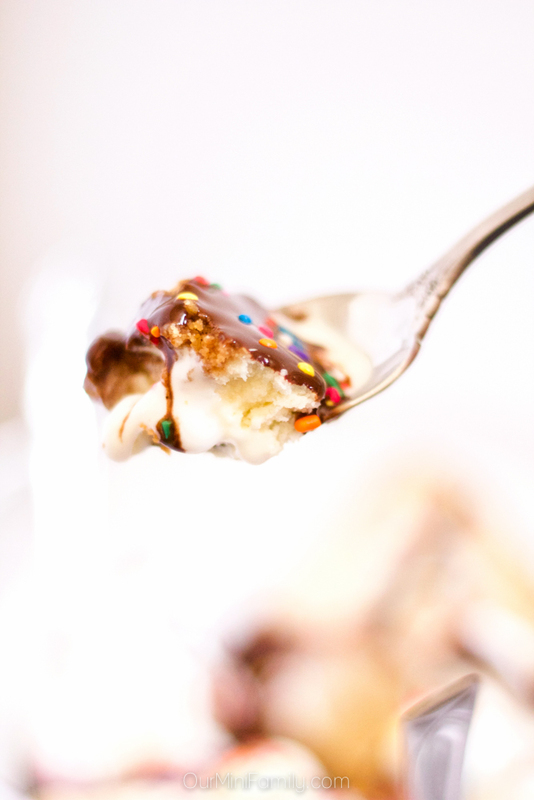 Drizzle the remainder of your hot fudge sauce on top of the ice cream and cheesecake, and toss on some sprinkles. 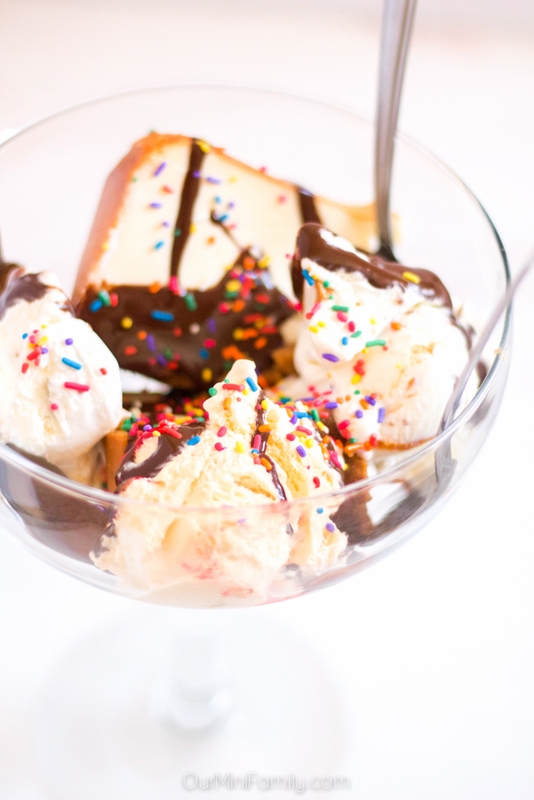 Pass out the spoons and enjoy this ice cream sundae with your family! 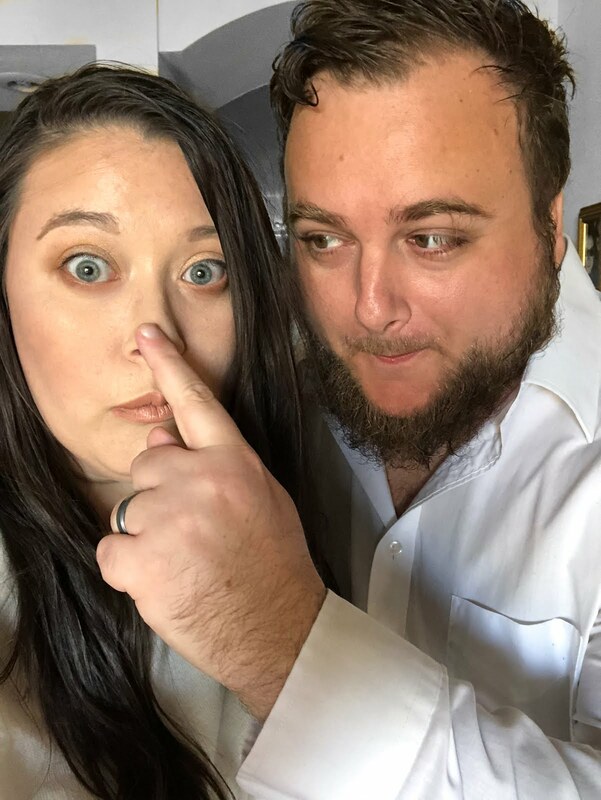 As you know, I LOVE using Snapchat! 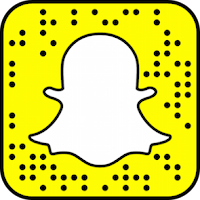 Well, what you might not know is that this summer, The Original Bomb Pop® is pairing up with Snapchat to create a fun custom lens. 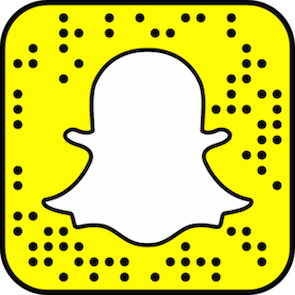 Keep an eye out on June 29, National Bomb Pop Day, for this special Snapchat filter lens! 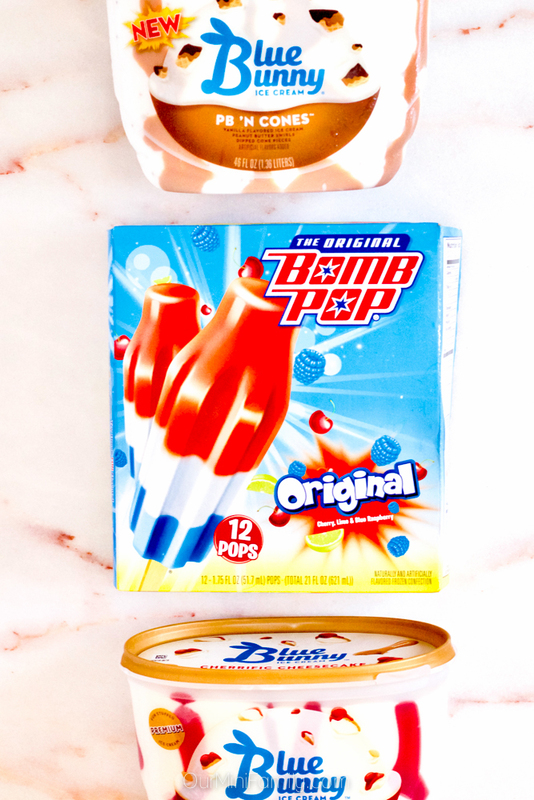 I grabbed everything I needed for our ice cream sundae at Walmart--including all of the ice cream and toppings, as well as a package of The Original Bomb Pop®! 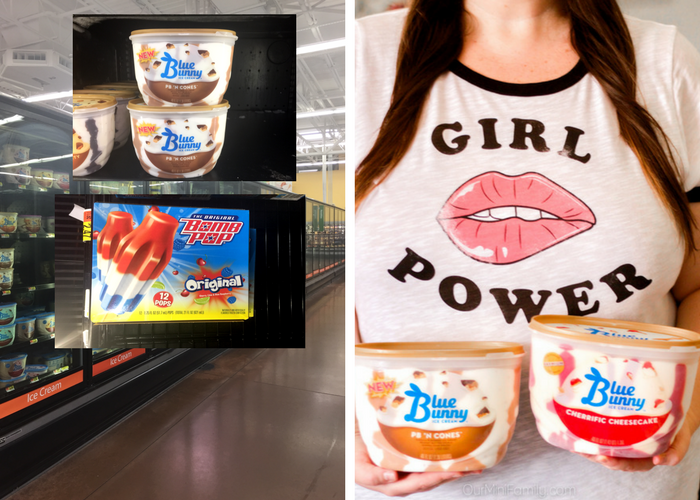 Whenever Adam and I are craving ice cream, I like to hop down to Walmart and grab a pint or two of some new flavors for us to try. 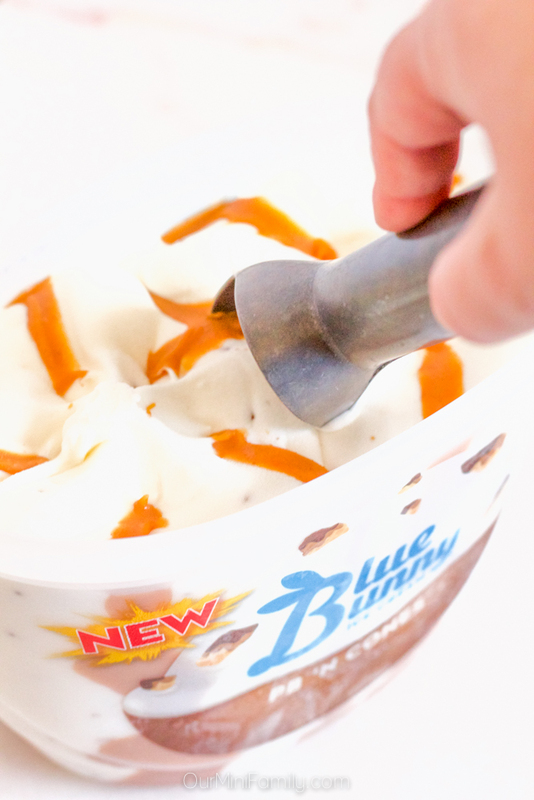 Blue Bunny® always has great flavor combinations to try that bring a unique twist to the traditional ice cream flavors we already love. 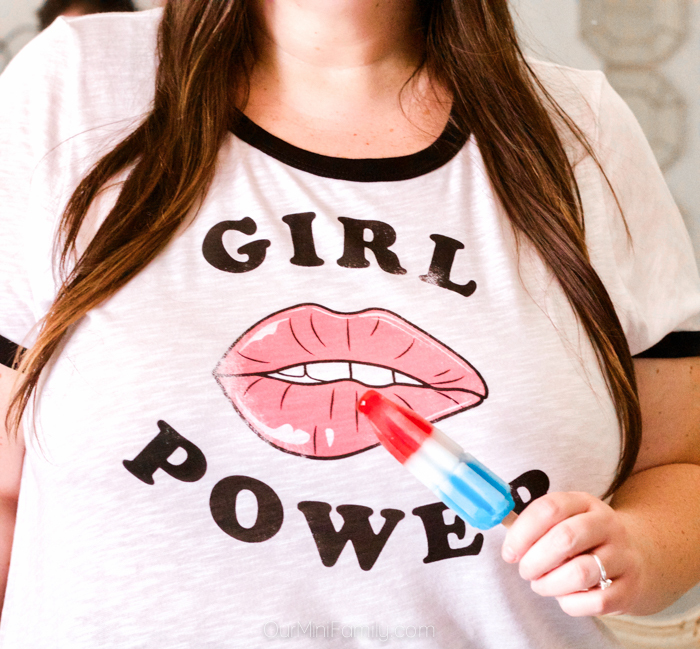 I recently learned they've been around for 80 years--it only makes sense that it's been around for almost a century, considering they've got it down when it comes to making delicious ice cream and frozen treats! 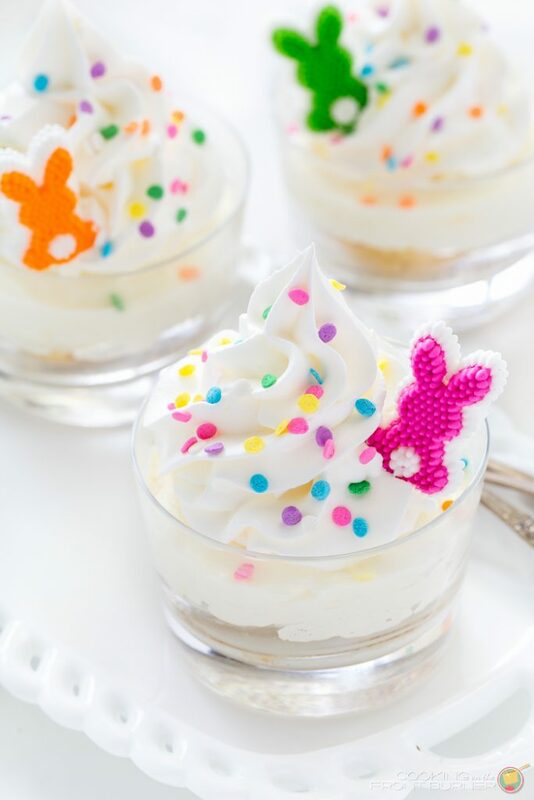 Check out even more summer dessert inspiration with Blue Bunny®! That looks AMAZING!!! I am so doing it this weekend! Wow, this looks decadent! A great dessert to share, for sure. Oh WOW it has all the goodies you could want i want some now !!!!!!!!!!!!! This looks awesome! More sprinkles for me, please! Oh my goodness, what a decadent dessert! What a fun way to serve for everyone to enjoy! I've never made a family-size dessert before, but now I've seen yours, I'm definitely going to have to. 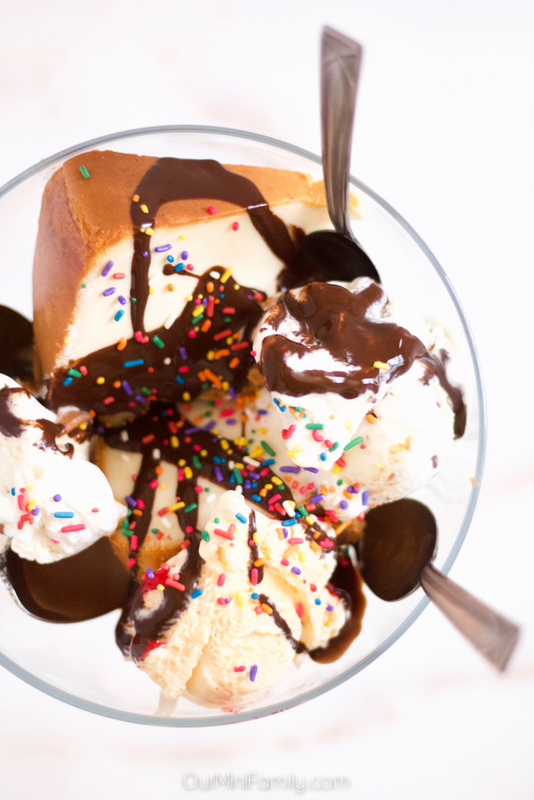 Sundaes are perfect for summer! Looks absolutely delish! I may have to try this and maybe swap out for a different nut butter! Sure looks good!I will be making these for the family! Never would have thought to use cheesecake as the base, kinda like the brownie in a brownie sundae! Those look tasty. I didn't even know they had a cheesecake flavor, let alone 2. I'm gonna have to try it. 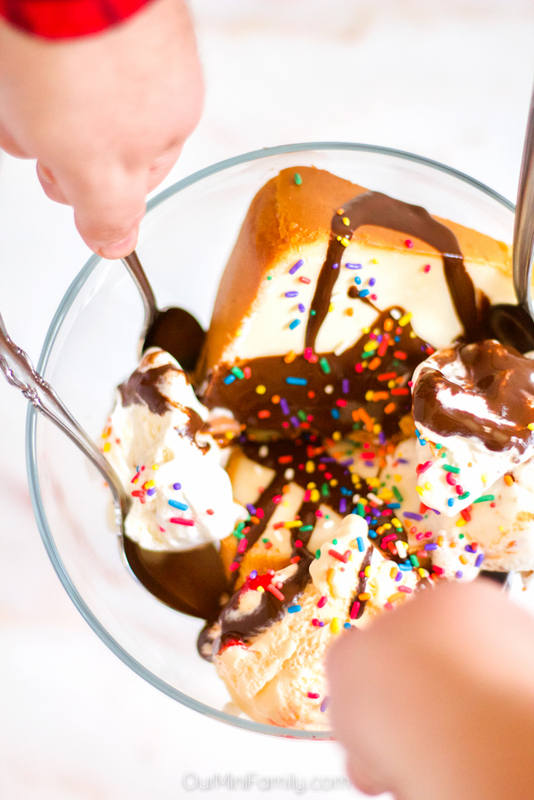 everything's better in sundae form..
Oh my gosh, this looks sooooo yummy!! Thanks for sharing the recipe with me!! That Sundae looks sooooo yummy!